Home / Application for Entry and Pre-Notice of Race online! In 1968 the world did not stand still as the Sunday Times Golden Globe race entrants set off in their own time. They were amazed when Suhaili sailed home. When sailors in this new Golden Globe Race fleet sets out in three years with Sir Robin Knox Johnston on board Suhaili leading the way, followed by Joshua and Capt’n Browne , 30 little yachts will cross the horizon. I recon there will be more than a few spectators and online followers totally amazed. We have decided to post the Pre-Notice of Race early, so for those 48 sailors from 15 countries ready to go! It is all online now! It tells of your satellite tracking, new jury rig and emergency steering plans, the requirement for safety gear and penalties to keep things moving smoothly, all about the waiting list and new course marks for dropping film you can buy in bulk, including digitisation. It says you must buy your first aid kit from us and can now send two satellite text messages a day to the person most important to you in life and the world, who will follow the race with our regular and constant media updates all explained. Yes you must produce media too for all your fans, and meet important deadlines or be moved to the wait list allowing another in your place! Hope is not lost for those happy to at least be on that list! There is a lot to be absorbed and I truly hope each entrant will read and understand it. If not, please read it again. ALL the answers are in this document (Golden Globe Race 2018-19 Pre-Notice of Race) and we will respond to simple questions in this way to save a hundred emails. If you have a real question, we are happy to help! Why have we now allowed entrants to send satellite Text message from the boat when use of satellites are banned. Simply for safety. The Tracking/Texting YB3 unit is an integral part of our event “Risk Minimization” plans. These units are a vital Hardened tool for communications in any emergency or safety situation and it is important that the entrant not only knows how to use it, but is proficient in its operation and we all know it is functioning properly at all times. It is also close to basic morse code Telex available in the 60’s. For this reason we decided that to use it twice a day for real messaging achieves that outcome. As a bonus, Golden Globe Race followers and media will now also get regular updates from competitors. Finally one last comment. This is part of an email from an aspiring entrant and says some interesting things. Soon you can meet the real entrants! While I don’t agree with all of the class limitations you have specified for the race (because the original wasn’t class limited) I can see that if this was an open (vessel) class race then it would become just another competition to see who can get the best sponsorship. What I love about this race (apart from it solidifying a dream long held) is that you’ve created something that the average sailing person worldwide (with commitment) can compete in. It is therefore truly an open race as it is not open in class but truly “open to all”. In round the world racing this is unique, about the only equivalent offshore race I know of is the OSTAR…Therefore in keeping with this “open to all” philosophy I believe that although there will be professionals who will (and should) compete I don’t believe that they should make up (perhaps??) more than fifty percent of the field. You have created a democratic “open” race and this is very special. As a true representation of the sailing world it would be great if the field has representatives from all the different participants in our great sport.. Young, old, experienced, professionals, dinghy, coastal, offshore, cruising and adventurers. The opportunity to compete in such a varied field and against some of the best professional long distance racers is such a great idea….Despite the naysayers please don’t lose or change this core race philosophy, it is what has inspired so many and will ultimately make this an enduring competition. So the fun is about to begin! Good luck to all and thanks for the amazing comments and support I have received in the past six weeks. To my inner circle of friends/advisors and professionals helping to pull all this together, AWSOME! 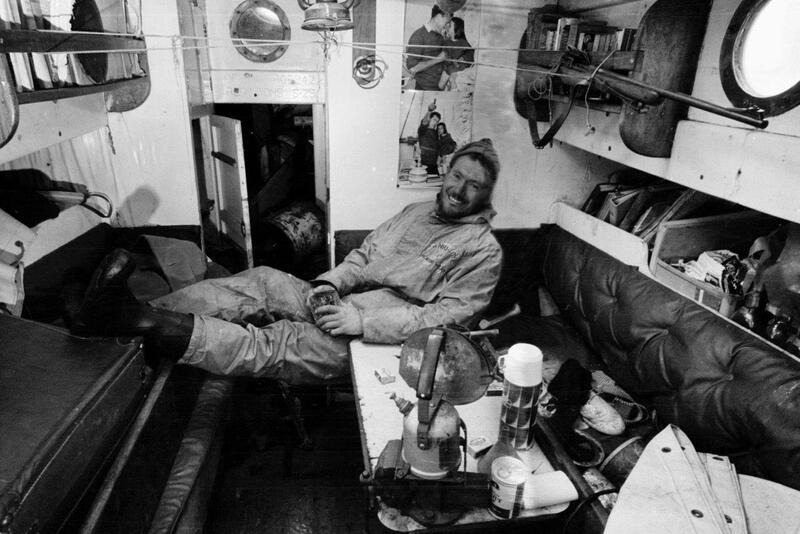 To my friend Sir Robin Knox Johnston I simply say Thanks for your help and continuing to inspire so many. As a competitor myself, it now starts to become very real. The dreaming is over. Couldn’t find the document(s). No link in the article. All Links are on the side bar of all pages on the GGR web site. Thanks for this Don, but the hyperlink seems to just direct back to the announcement about the application. There doesn’t appear to be a link to the actual application?? or is this just me?? Hello, I’m eager to read the Pre Notice of race and provide a full entry application. Where can I find the documents to download please ? I might have gone back into 1968 even with my mindset and computer skills because I am not able to get the Application for the Entry and the Pre-notice of Race on line. Could you advice me, please? Don please forgive my potential oversight but I cant find the NOR Is it right above the comment section on this page. Will there be a formal Application Form. Is it possible to get hold of the Pre Notice of race and provide a full entry application? I’m going to try find a suitable boat. I would appreciate a list of the eligible production boats you mention in TRADEABOAT April 16.